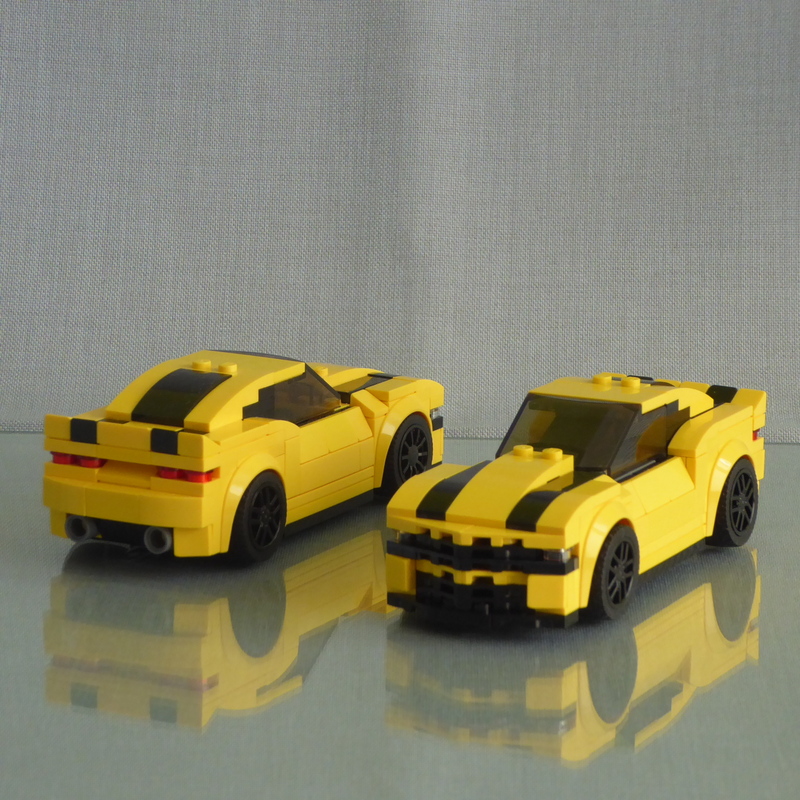 My little son is a big fan of the “Speed Champions” cars and also of the “Bumblebee” Camaro. 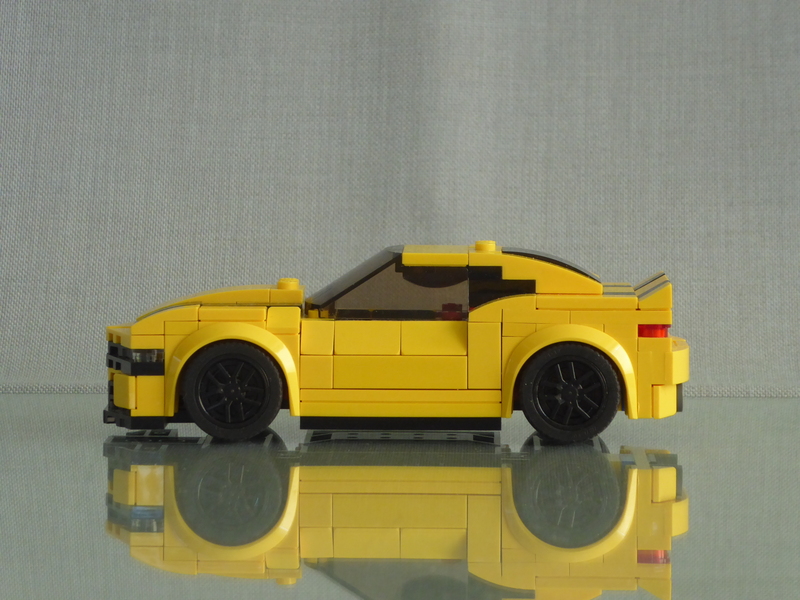 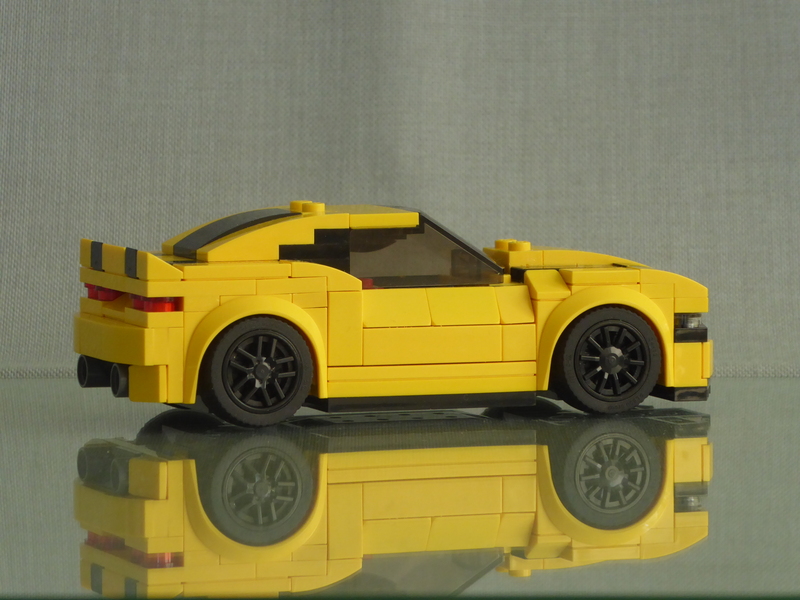 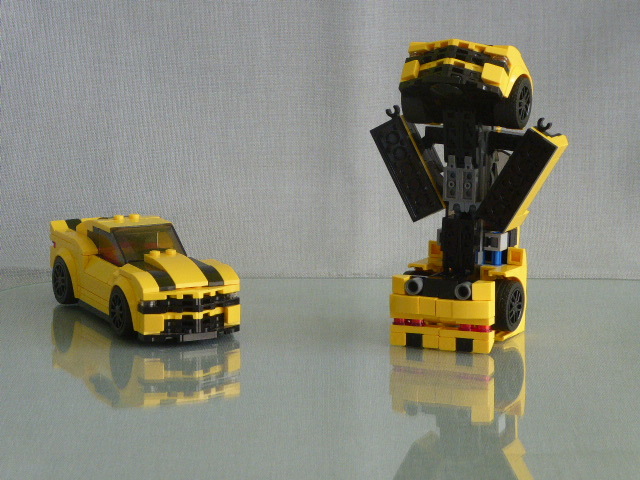 So I started building a yellow Camaro based on the parts from a 75870 Corvette and the design of the red Camaro from set 75874. 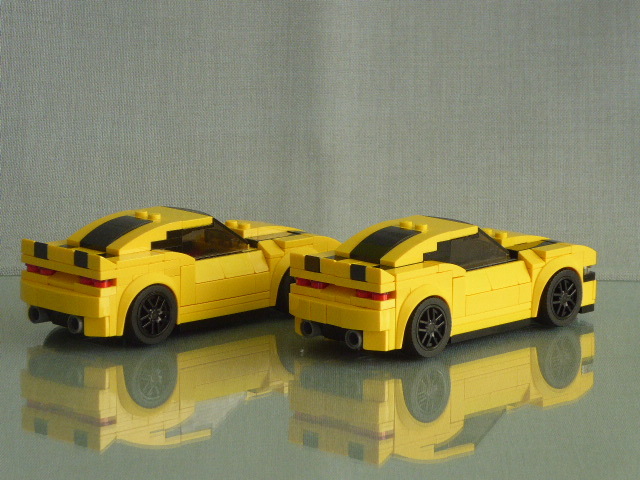 As I’m not a fan of stickers on my models I had to find a new design for the head- and taillights. 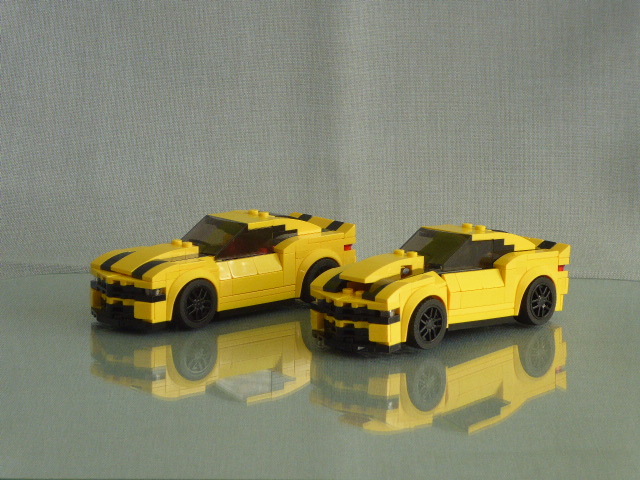 Once started I reworked the whole design of the Camaro here and there to make it look more like the Bumblebee model from “Revenge of the Fallen”. 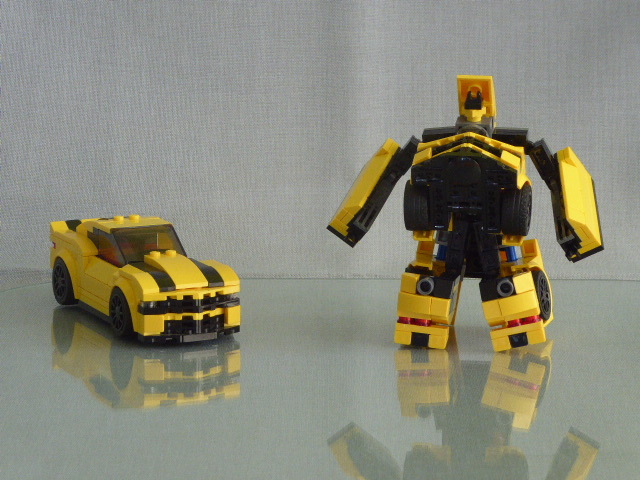 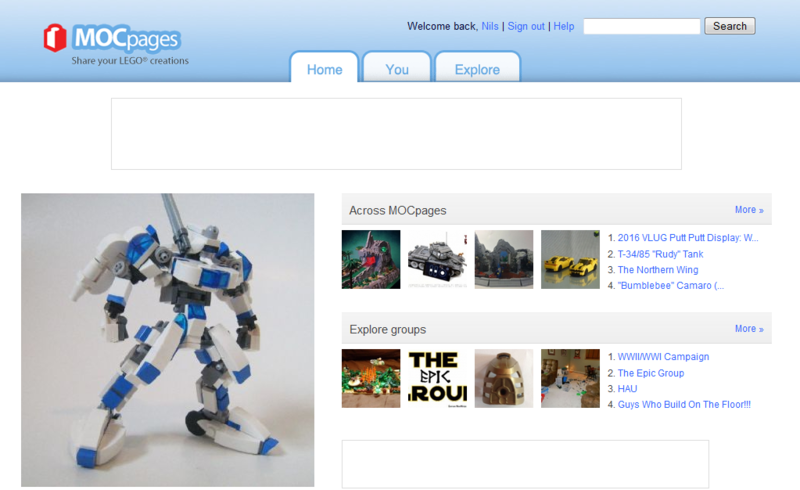 My top design priority for the robot was a mostly unchanged look in car mode. 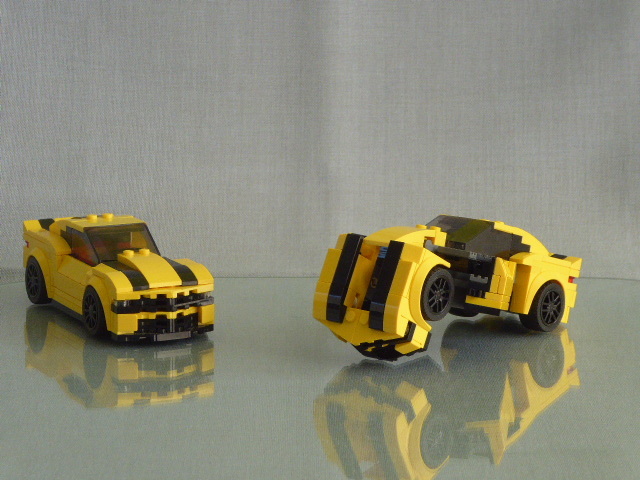 I especially wanted to use the SC wheelhouses and wheels, which occupy a rather big space of the model (especially compared to “Deluxe” figures of the movie Bumblebee). 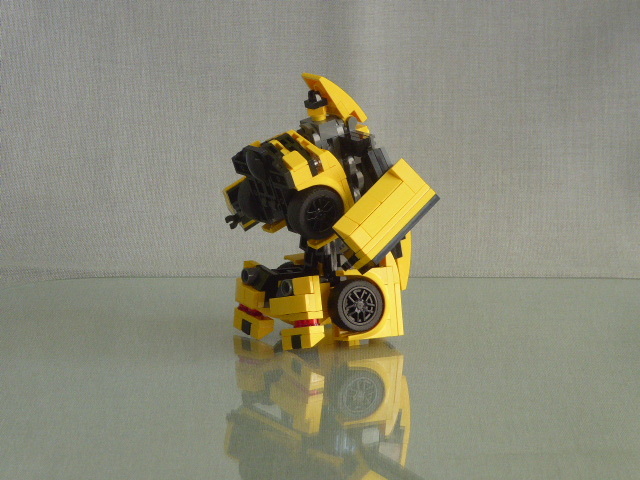 So there wasn’t much space left between outer shell and wheels for the folding mechanism. 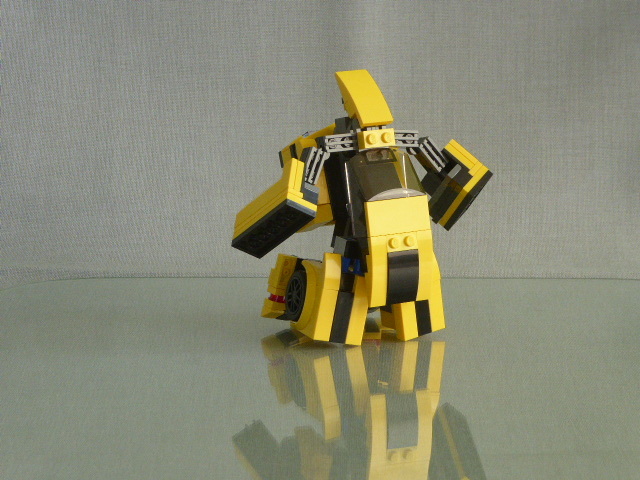 The folding mechanism was first based on the smaller “Movie Legend” figures and then became a little more complex during the design process. 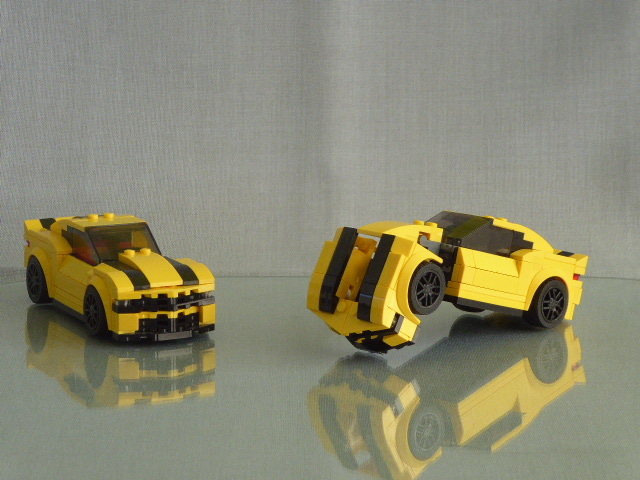 I also tried to include a folding mechanism for the rear roof section similar to the “Deluxe” figures, but it was too fragile. 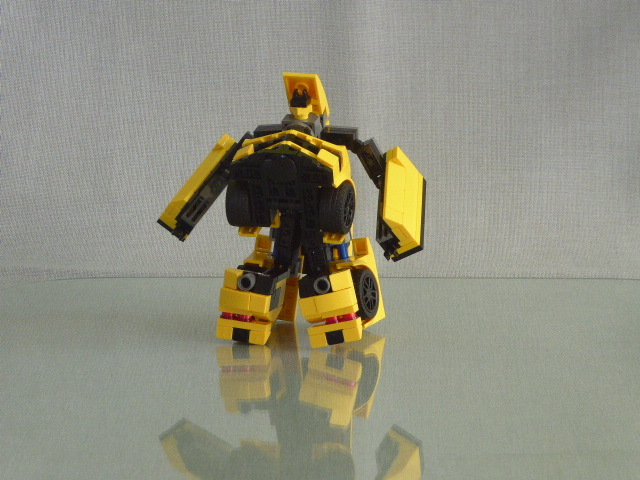 So I left the roof in it’s place and used it as a “turtle shell” for the back of the robot. 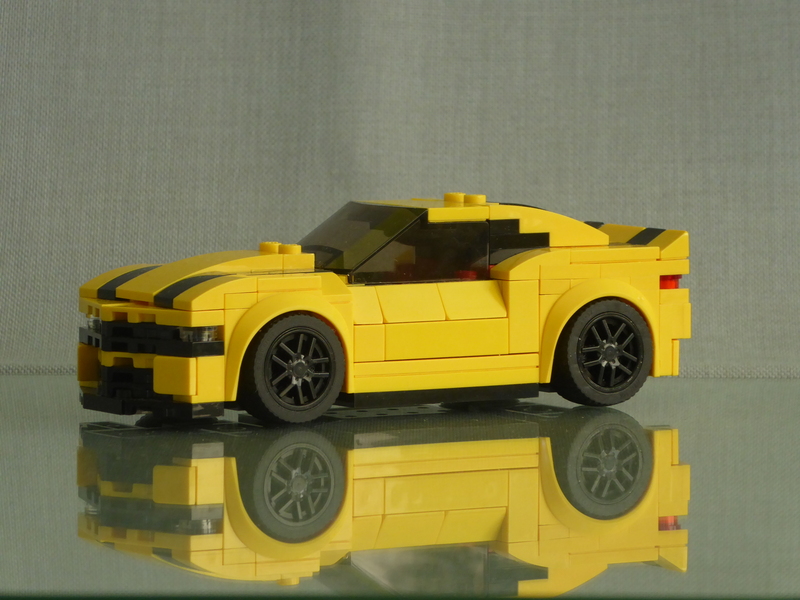 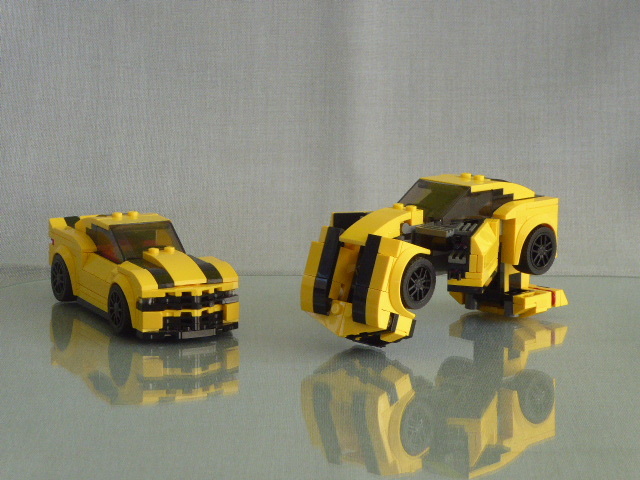 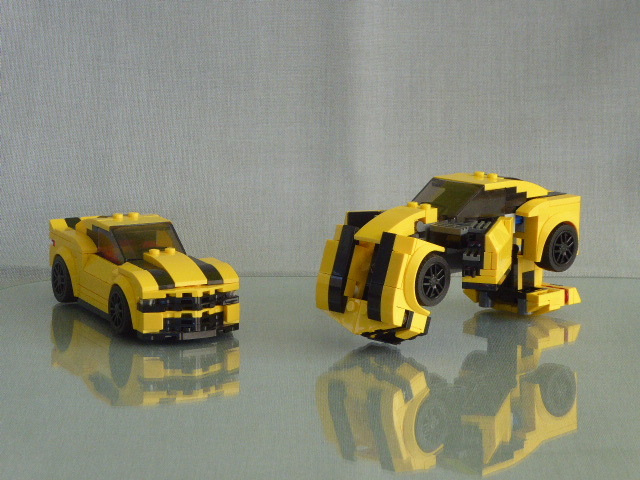 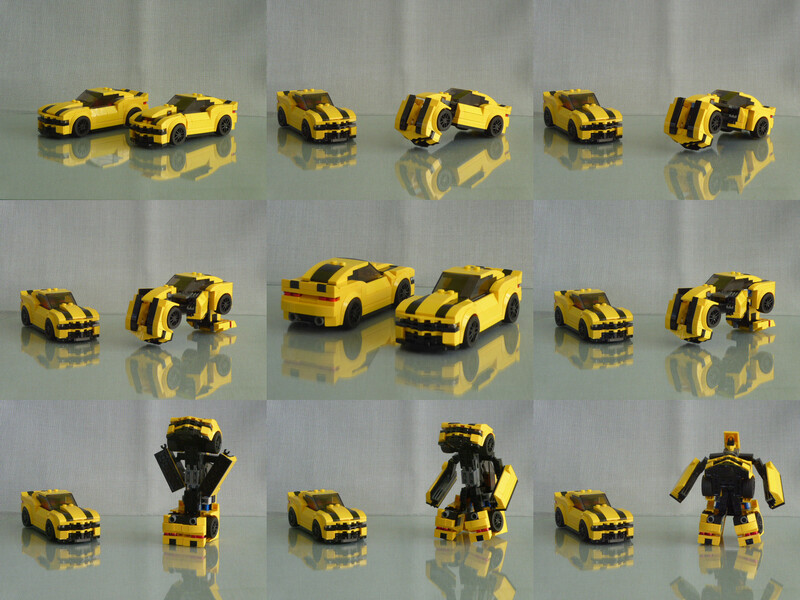 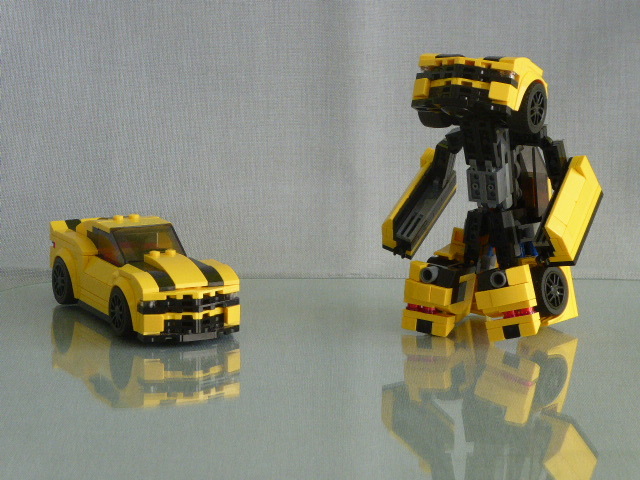 So this is my transformable LEGO “Bumblebee” Camaro in “Speed Champions” scale and look. 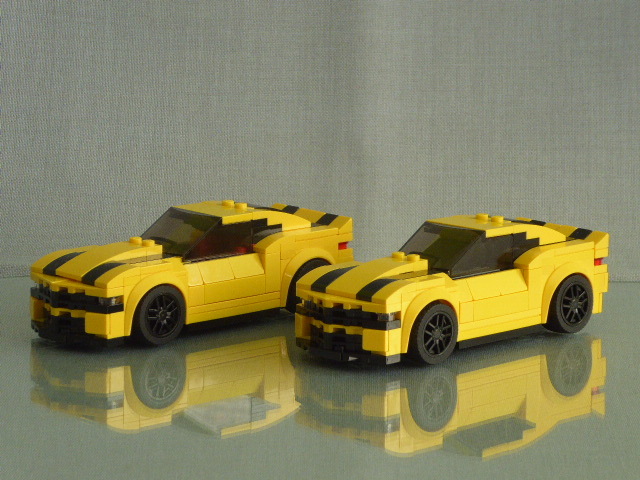 Previous PostHello Brix Fans!Next PostComing soon…!